Man, Warlord Games has been busy. They've got all manner of new releases and pre-orders available over on their website. 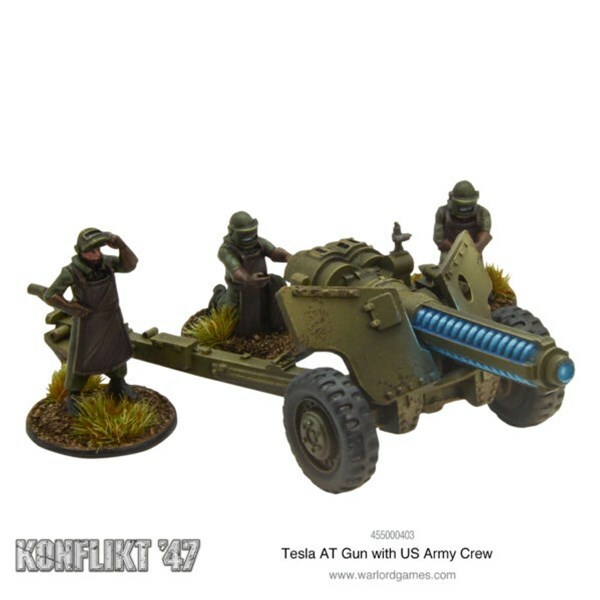 There's new plastic sets for Germany and Britain in Bolt Action. 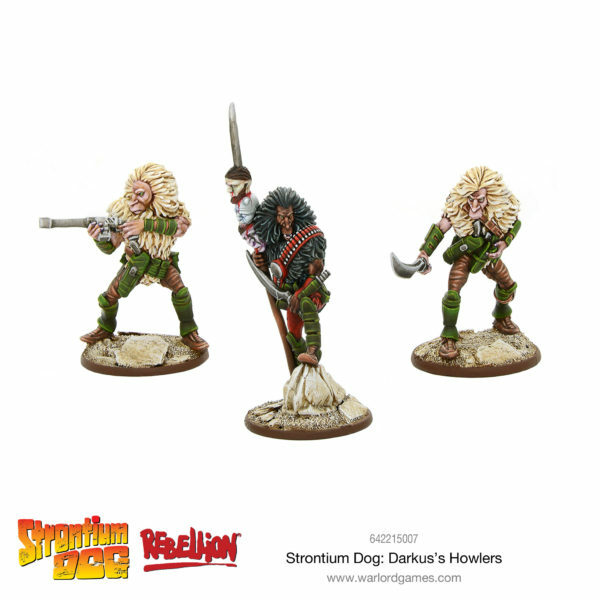 There's a new pre-order for a gang in Strontium Dog. 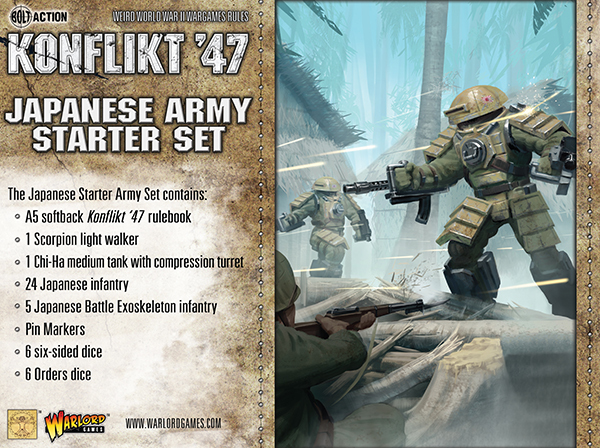 Then there's a whole bunch of new Konflikt '47 releases for you to check out. I feel this post could be titled, "Warlord Games Releases Everything" and it wouldn't be that far off. 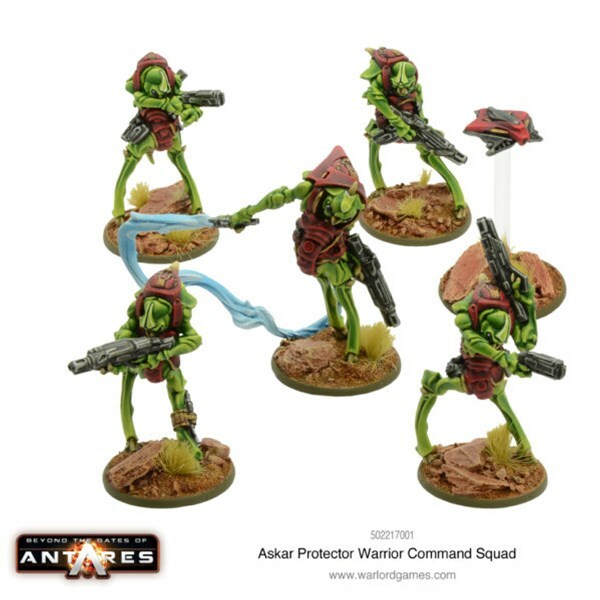 They've got new releases for Konflikt '47 and Bolt Action, as well as extending their Strontium Dog line with new pre-orders. So let's get to them. It's not a short list. With new technology comes new ways to wage war. 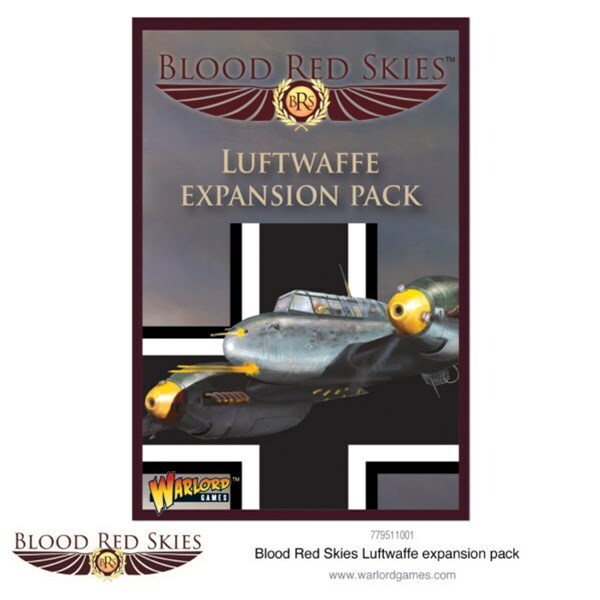 In 1947, as the 2nd World War rages on, every nation looks to secure victory via new arms. 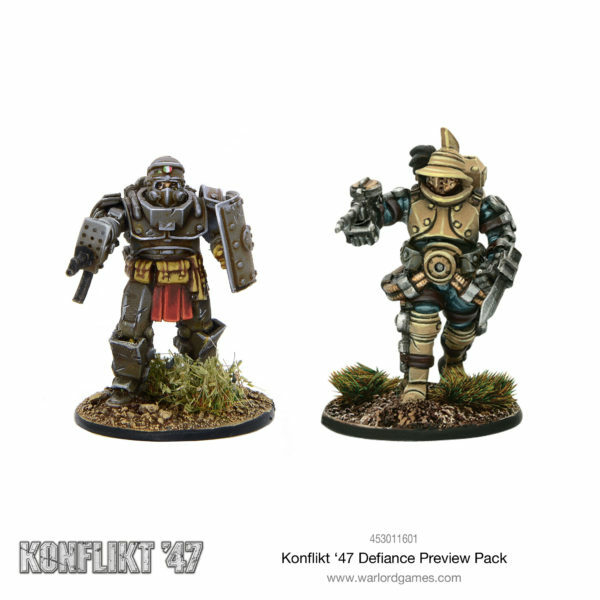 In this preview for Konflikt '47, we get a look at some of the units coming in the new Defiance expansion book. The Italians were a major player in WWII. And as the war drags on into 1947, they have kept up with the other powers in creating intricate suits of armor and other future-tech. 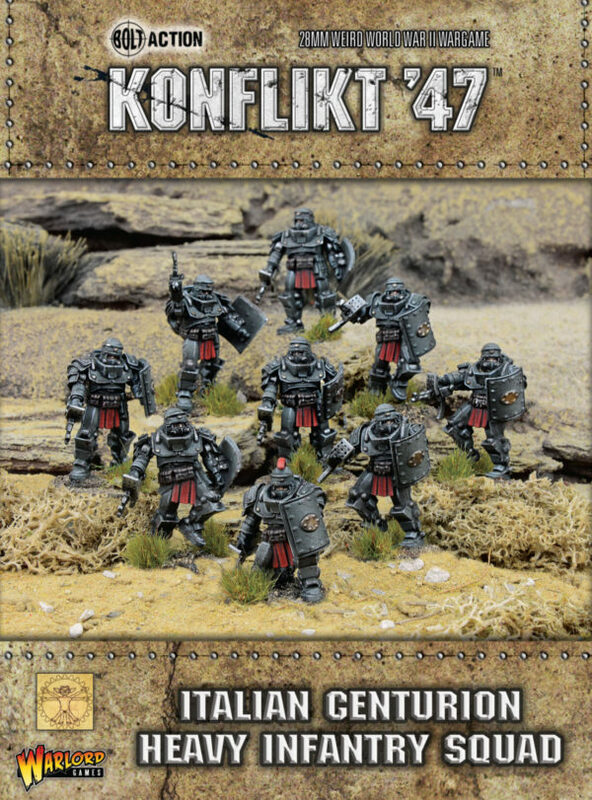 These new kits are available to pre-order now from Warlord Games for Konflikt '47, as well as the Defiance supplement, which adds this army to the pantheon already engaged in the war. As World War II rages on, all the warring countries are constantly creating new soldiers and tech to fight on the battlefields. Wait, "creating soldiers?" Yes, like making bear warriors for the Russians. 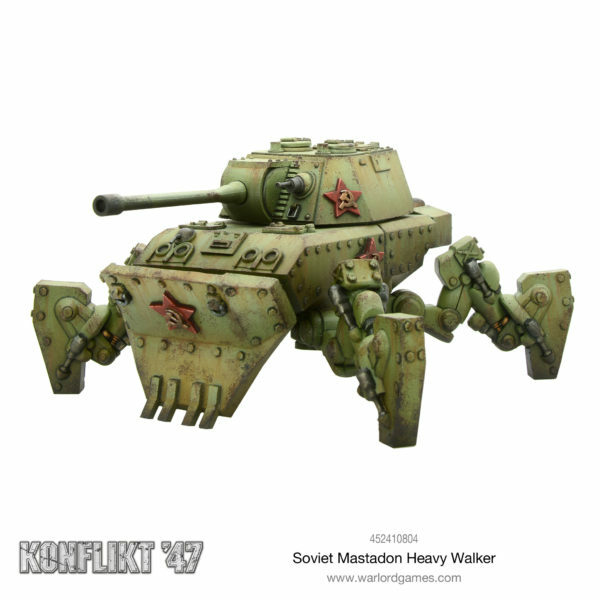 And then, there's their Mastadon heavy walker. 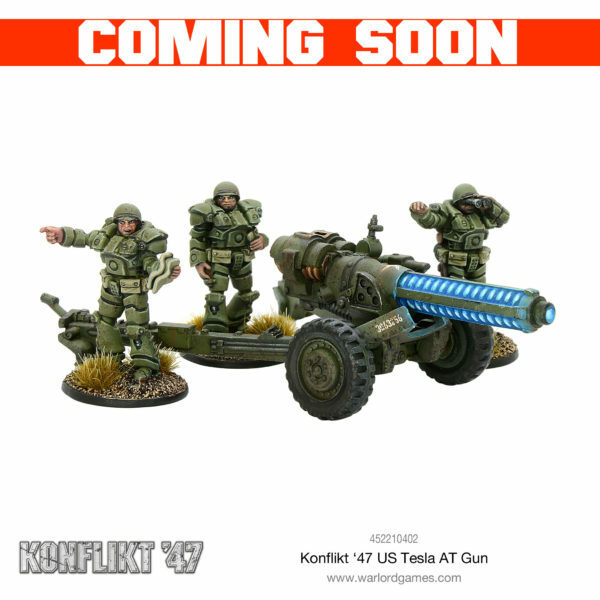 Both of these are available now for Konflikt '47 from Warlord Games. 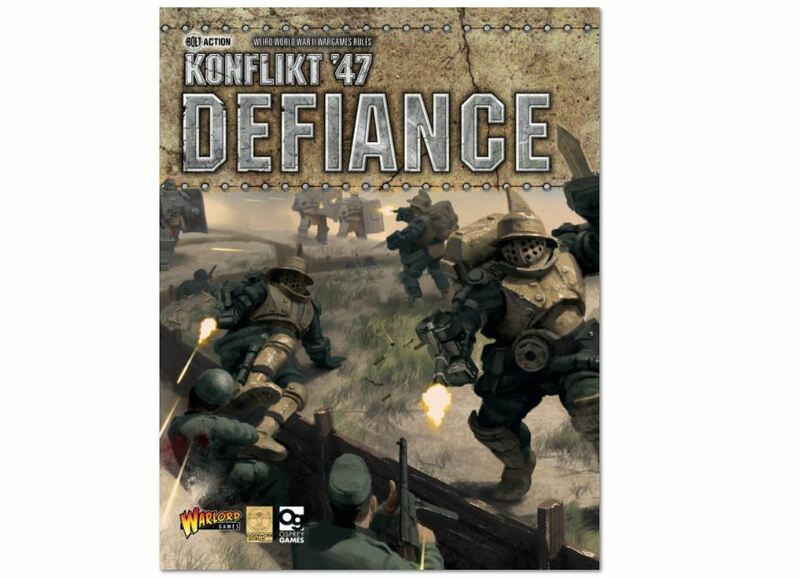 Apparently, Warlord tossed out one last release for Konflikt '47 on Friday after I'd done my news sweep through. S'alright, I check them every day. 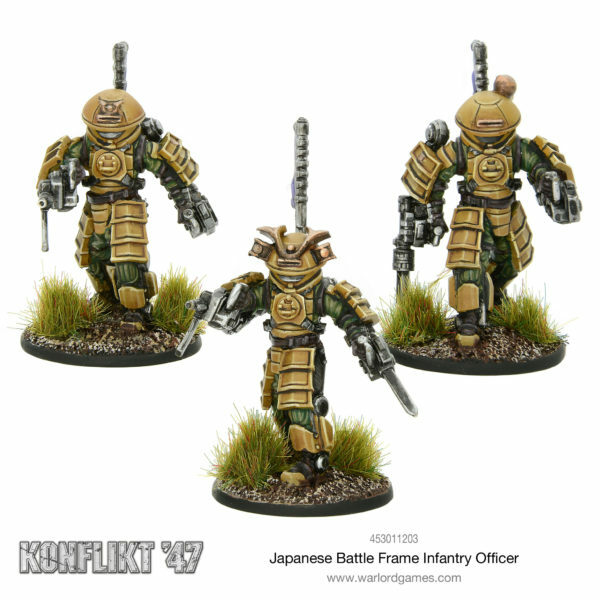 So now I can tell you about the new Japanese Battle-Frame Infantry Officer that they've got available in their shop. If you want to keep your troops in line, this is just the set you need. World War II included much of the world's population in what seemed to be the war to end all wars. Well, in the Konflikt '47 universe, where WWII has continued on, as well as incorporated strange, new technology. But there's just as many nations, if not more, involved in the fight. In the upcoming Defiance expansion, we get a look at what the Italians and Greek are bringing to the front lines. During WWII, the Waffen-SS were a feared fighting force. Now, tooled up with the newly-discovered Rift technology, they are even better equipped and more dangerous than ever. 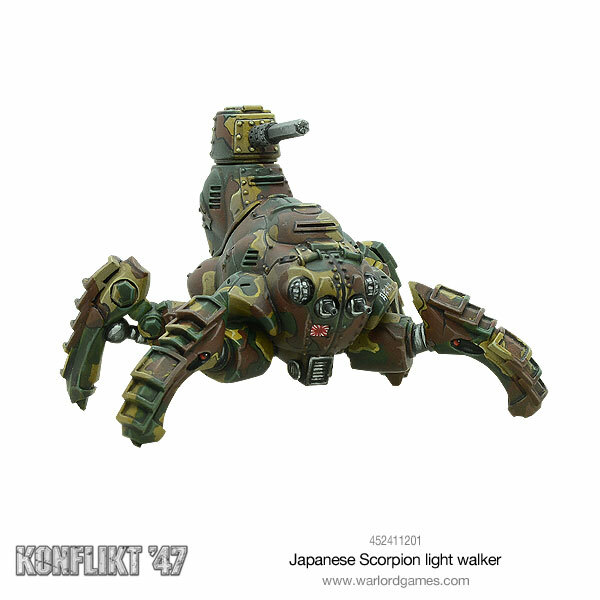 Just about every aspect of them has become more deadly, and you can add them to your Konflikt '47 army now from Warlord Games. 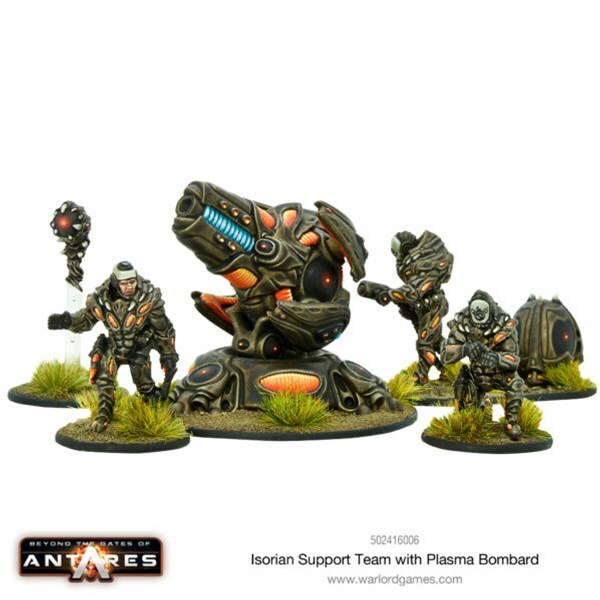 The folks over at Clockwork Goblin and Warlord Games have been busy. 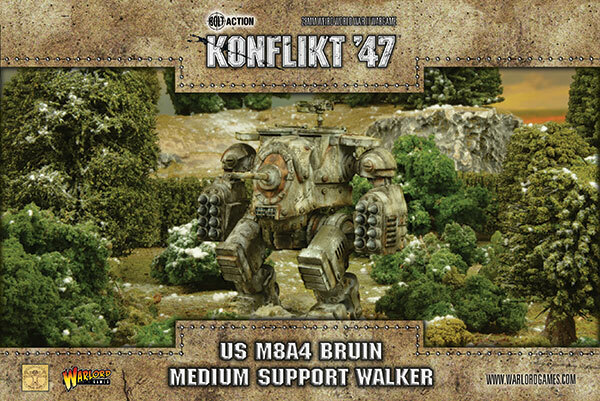 They've got a whole batch of new Konflikt '47 releases available over in their webshop. 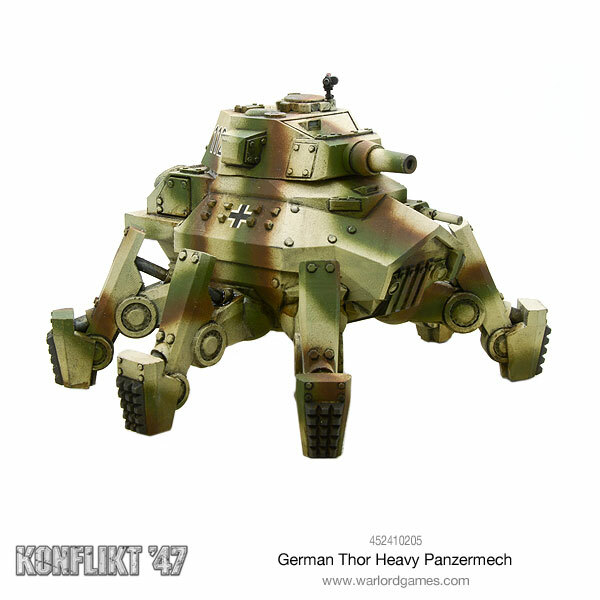 It's a lot of heavy gear, including a walker, armored transport, and numerous turret emplacements. If you want a place to be well-defended against enemy attack, you'll be able to do it with these. Konflikt '47 gives us a look at what the world might be like if WWII didn't end when it supposedly did... and we got a whole new influx of strange technology. It's not an entirely off-the-rails Weird War II game, but there's certainly a lot of sci-fi elements thrown in, such as compression rifles and exo-suits. And that's what you get with these two new releases for the Japanese faction. WWII continues to rage on. As the various factions look to see what will finally turn the tide of war, new technology is constantly being brought to the battlefield as factions that've been fighting since the beginning equip new troops and send them to war. 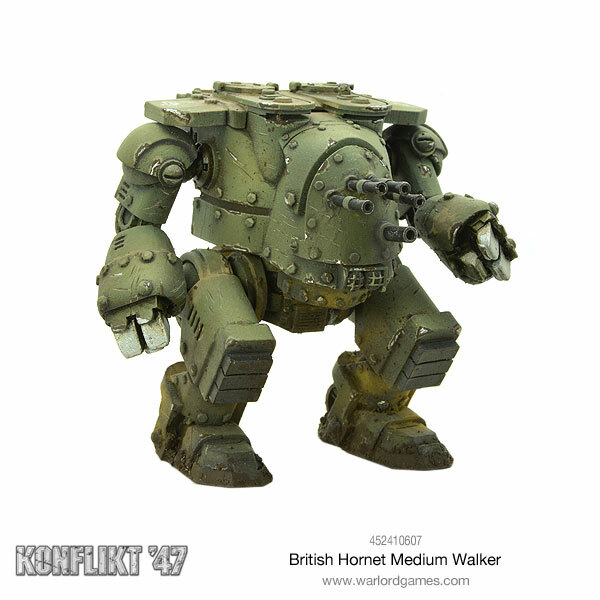 Warlord Games and Clockwork Goblin Miniatures are bringing these new forces to your battlefields with Resurgence, a new book for Konflikt '47. 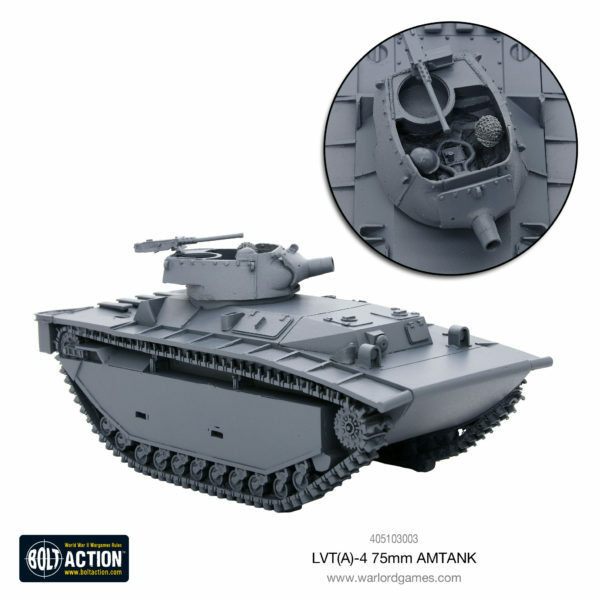 They also have Japanese and Finnish army sets that you can pre-order. Konflikt '47 is still a pretty new game. I really only remember seeing figures on tables for the first time at Gen Con last year. So that means it's coming up to its 1 year anniversary, of sorts. Well, for those that want to get into the game and become better generals, Warlord Games is holding a Boot Camp event at their Store HQ this August. WWII continues on. All sides of the conflict are looking to overwhelm their opponents. 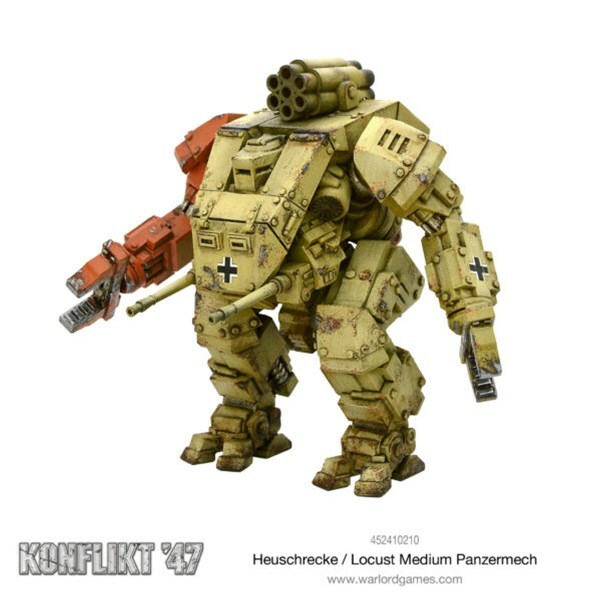 On the German lines, they've been working with a new walker design that they're sure will help out. Then, with a look at emphasizing precision strikes, they've been training some elite sniper units with new, heavier rifles that can even take out enemy vehicles. 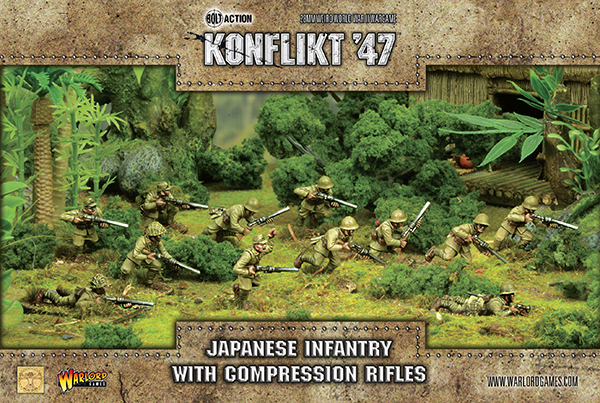 Both these sets are available for Konflikt '47 from Warlord Games. In the world of Konflikt '47, WWII continues to rage on. The Axis and the Allies both are looking for that one advantage that will finally bring the war to an end. So far, the game has focused on the European front, with German, Russian, American, and British forces. But the war is still going on in the Pacific, too. As such, there's the Japanese forces to reckon with. Get a look at what they'll be getting, along with some other pieces for the other forces, in this preview. 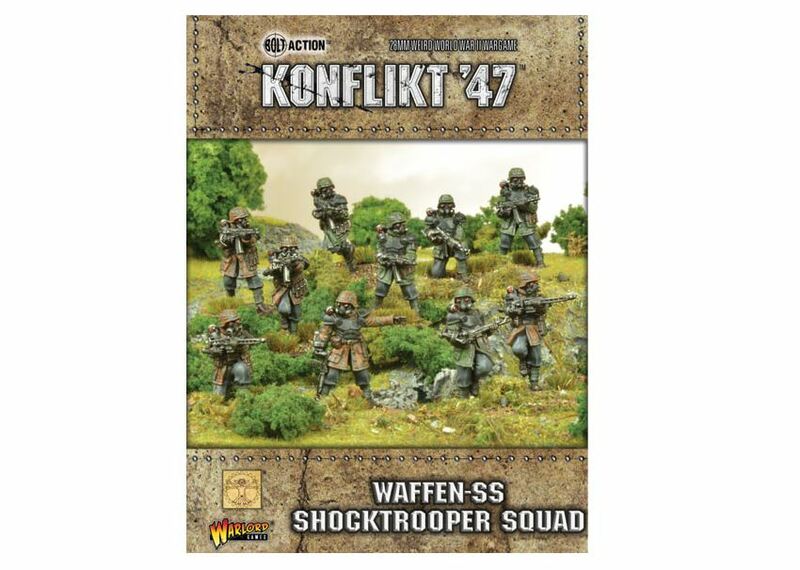 We've been seeing a lot of Soviet and German releases for Konflikt '47 recently. But that's not to say that the Americans have just been sitting around, doing nothing. 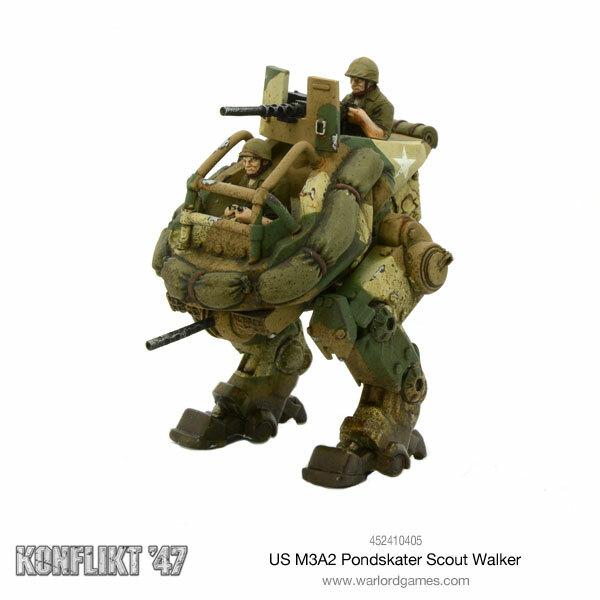 The engineers have been hard at work on a pair of walkers of their own. We present to you, the Bruin and the Jackal. Those Soviets and Germans are at it again, looking to put the biggest piece of armor possible out onto the battlefield. Their incessant arms race (well, it is a war, after all) continues to bring bigger and stronger machines to the conflict. 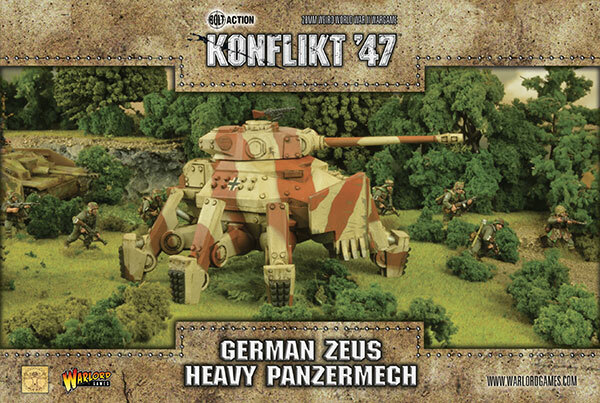 In this case, it's the Zeus and the Mammoth, both available to pre-order for Konflikt '47 now.